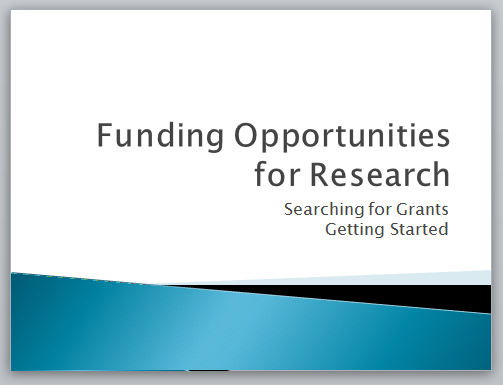 This guide was created for graduate students who are interested in finding grants and scholarships for their research. Click on the image above to launch the presentation. This 12-slide PowerPoint presentation will provide you with the basics to get started, using the database Pivot. If you would like to set up a one-hour consultation with a librarian to search together for funding opportunities, fill out a consultation request form.